Back in mid-July I had my first experience on the water with a relatively new class of pleasure craft known as ‘jet boats’, (specifically the 2016 Yamaha AR192 ). 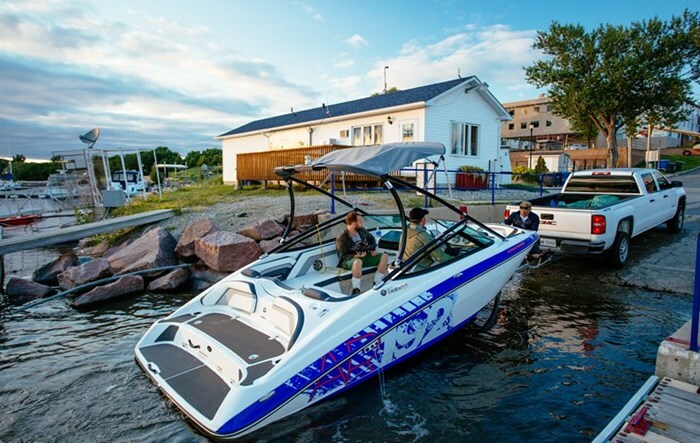 No this isn’t some catchy buzzword created by the manufacturers to boost sales; the propulsion system is actually identical to a personal watercraft, where water ingestion is the source of its power. 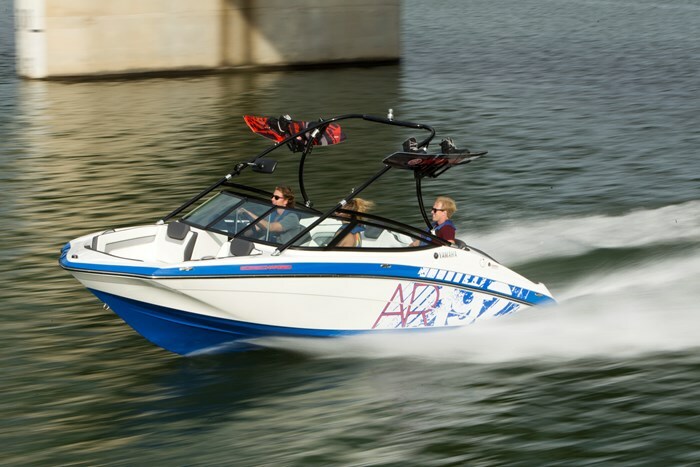 Speaking of power, don’t let the ‘pleasure craft’ label fool you, there’s nothing pleasurable about ripping to 30 miles per hour in less than 5 seconds, which is what the AR192 is capable of. Since this segment was introduced a few years back Yamaha has dominated the market with the likes of the AR192. The source of its power comes from a very reliable supercharged 1.8-liter super high output marine engine. Thanks to an articulating keel which turns with the jet pump nozzles, (exactly how a PWC steers) the driver gets immediate steering response for maximum control. Sure this boat is based around performance but it posses many of the creature comforts you’d find on larger vessels. The bow sports premium carpet and marine grade speakers, ample room for passengers and spacious storage under the seats. The cockpit makes the driver feel right at home with textured panels, Clarion stereo, a new gauge pod and a racecar like steering wheel. Twins captain’s chairs are also a nice feature for any companions. My first experience with the AR192 was in mid July. Yamaha Canada had loaned us one, along with two Waverunners for a photo shoot. 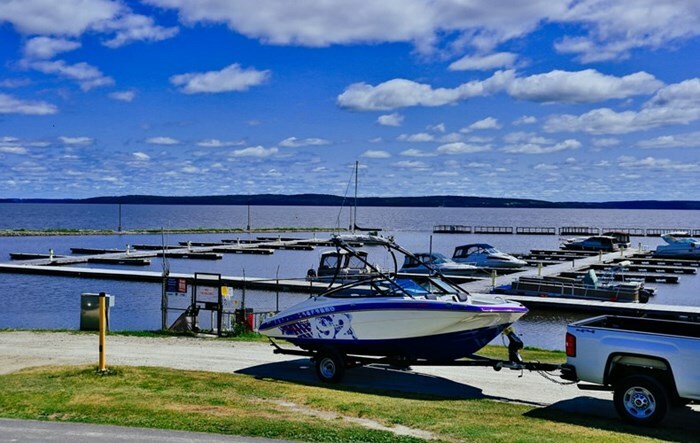 The site of the shoot (and sub sequential boat test) took place on beautiful Lake Temiskaming, a lake seemingly made for boaters in Ontario, Canada. ‘Lake Tem’ has a notorious reputation for fast changing conditions. I’ve seen it go from glass calm to full on white caps in just a few minutes. 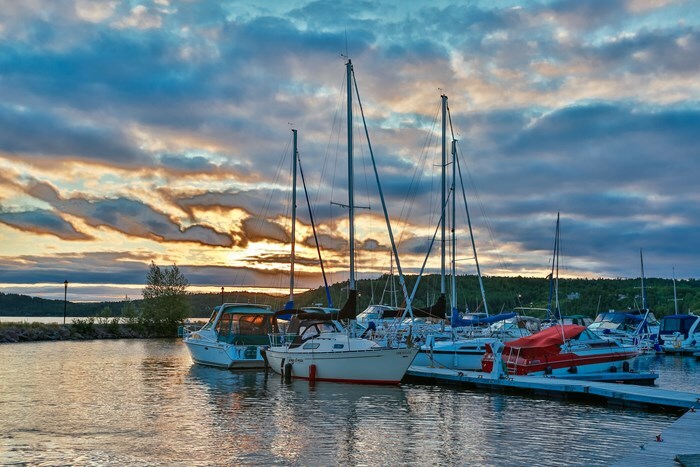 Despite the changeable water conditions it’s beauty and unique landscapes make it an ideal photoshoot location. 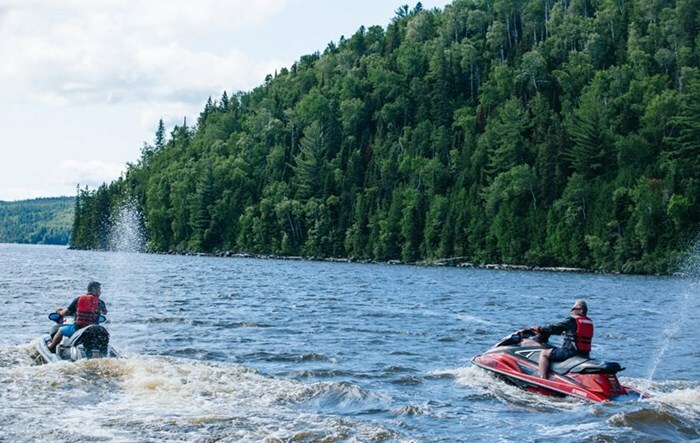 Dense green tree lines with sheer rock faces around every turn, make this a hidden gem in Northern Ontario waterways. Our first afternoon out on the water had us shooting the Waverunners not far off shore and the AR192 acted as the ‘chase boat’. In my 15 years of being around power sports and watercraft products, I’d never seen a traditional boat that could keep up with jet skis with ease. Going from dead stop to full throttle was more like hitting the afterburner in a fighter jet than a conventional outboard or inboard engine experience. Getting glued to my chair from the G-force’s while out on the water was an experience all in itself. Aside from the power, the turning was quick and nimble but felt very controlled. The articulating keel takes some getting used to, but once familiar it’s easy and logical in it’s steering and boat control. Despite the boat being rated by Yamaha for 8-passenger capacity, we had just 4; 2 camera guys full of gear with a driver and passenger. Thanks to the unique design of the stern lounge area, which has an easy step through from the cockpit, moving around for various shooting angles was easy- this is a key feature offered on all Yamaha boat models. The AR192 has a host of other unique features that set it above the competition. Cruise assist, an rpm-based speed control system that will hold any boat speed with the push of a button. This would be particularly useful for towing, allowing the driver to focus on the water ahead and what’s behind the boat rather then a speedometer. Once set, toggling through the 8-click range makes fine tuning speed a breeze. 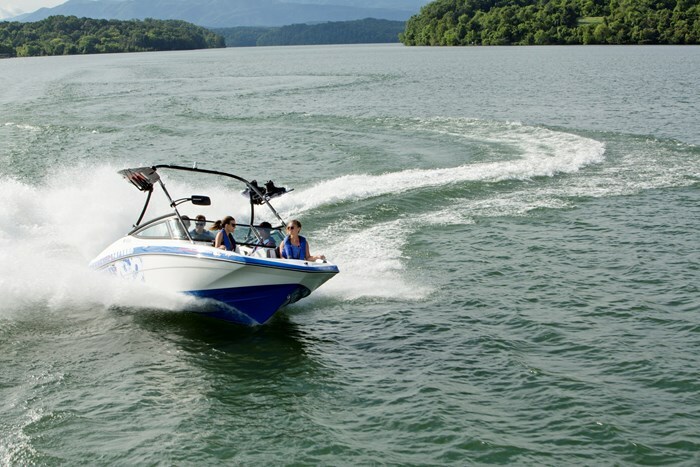 Another cool feature of the powertrain is the No Wake Mode. 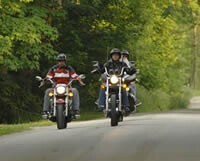 It can be set at one of five-rpm points between 1100 and 2100 rpm, to help maintain a steady speed. This came in handy any time we were entering or exiting the Haileybury marina. Add in a trailer and Bimini Top, and the MSRP seems like a bargain. After spending 2 days on Lake Temiskaming with our AR192 I realized the jet boat movement is here to stay. I’ve always been a lover of personal watercraft more so then bigger boats. 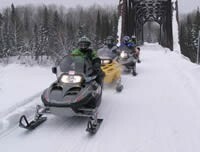 PWC’s are more about the riding experience then the driving experience. The great thing about the AR192 is you get the best of both worlds; It will rip around the lake feeling very PWC-esque but can also cruise like a traditional run about with multiple passengers and supplies out on a casual day trip. For all these reasons and more, I’d stamp the 192 as a great success in this emerging market; kudos to Yamaha for continuing to innovate.